As some of you know, I used to work at an indie record store. Probably the best job I have ever had in my entire life. I love a good indie rock band and this was the perfect spot for me to be. I basically talked to people about music all day long. For me, it doesn’t get much better than that, but all good things tend to come to the end. Several years ago the store closed and it was an end of an era for me. The people I worked with were awesome. I’m still good friends with many of them. Recently, I ran into one of them. He is an interesting character. He is like a cross between someone you’d see on Dukes of Hazard and Hank Williams. Overall, he is a great guy and loves his Americana. He is very much baseball, apple pie, and a bottle of Budweiser. So, of course I asked how he had been. His immediate response was, “Gutters and Strikes.” I actually had to pause and think about what he said. After a moment I got the bowling reference. The funny part is that he was being dead serious. His life was a bunch of gutters and strikes and I had to echo him. My life was gutters and strikes, too. In fact, I think he had a great analogy. Life is gutters and strikes. In other words, life has gutter balls. We’ve all been bowling before. Some people are good at it and some are terrible. I’m one of the terrible ones. I get gutter balls all of the time and at some point when playing I kind of check out. I start to accept that I will always have gutter balls. It is true that life is not always going to be roses, but we should not become habitable suffers. Those kinds of people always expect gutter balls. That kind of mentally is when we lose hope and faith. We expect the worst and see the worst, but in reality God is always good. From that scripture I gather we have a choice. 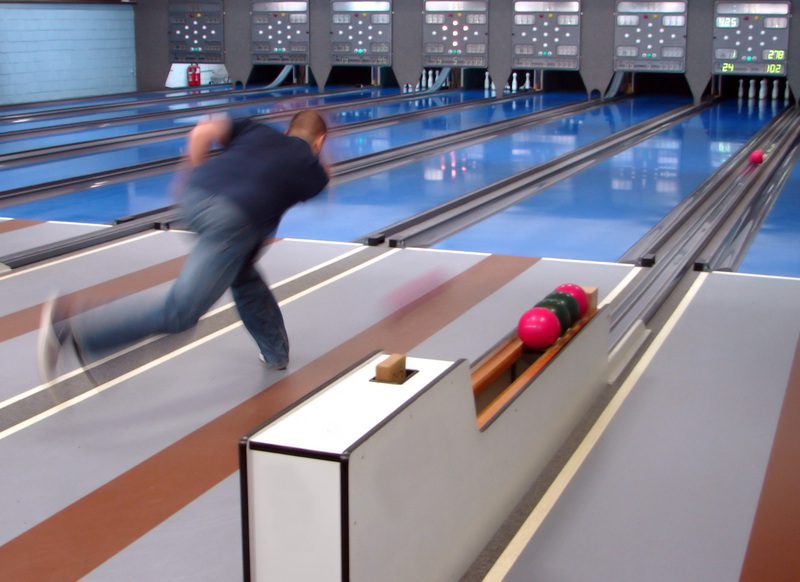 We can learn from each gutter ball and receive it with thankfulness or give up. Giving up is what the devil wants us to do. When we give up and have low expectations for our lives, he wins. When it comes down to it, there is an awful lot to be thankful for and we need to remember that God is always good. As I mentioned, I am terrible at bowling. So, when I get a strike it means something. Though, If I got strikes all of the time then they would become meaningless. I wouldn’t become a better bowler and I don’t think anyone would wan to play with me. Who wants to bowl with someone who always gets strikes? Despite not having a chance to win, it would just be a boring game. My point is that we need gutter balls in life. We need rain to enjoy sunshine. We need heartbreak to enjoy romance. We need death to appreciate life. Without the bad we can never truly enjoy the good. We will have strikes sometimes and those are times to praise the Lord. Then we’ll have gutter balls, but we still need to rejoice and praise the Lord. Remember without him you are not free from sin and do not have eternal life. That is enough to be thankful for eternity. Maybe the next someone asks me how I’m doing I’ll answer, “Gutters and Strikes”, but I’ll be sure to do it with a smile and a thankful heart.